Data-Pop Alliance is a global coalition on Big Data and development created by the Harvard Humanitarian Initiative, MIT Media Lab, and Overseas Development Institute that brings together researchers, experts, practitioners, and activists to promote a people-centered Big Data revolution through collaborative research, capacity building, and community engagement. As of February 2016, Flowminder Foundation has joined Data-Pop Alliance as its fourth Core Member. limited political channels and technical capacities for the primary producers and users of data—local communities and groups, governmental bodies and officials, researchers, journalists—to be engaged fully and systematically in shaping the Big Data revolution. Every year, more than 11 million people move through America’s 3,100 local jails, many on low-level, non-violent misdemeanors, costing local governments approximately $22 billion a year. In local jails, 64 percent of people suffer from mental illness, 68 percent have a substance abuse disorder, and 44 percent suffer from chronic health problems. Studies show that 7-10 percent of all 911 calls for service involve people with mental illness. Law enforcement officers across the country face challenges in responding to a relatively small number of vulnerable people who cycle repeatedly through local jails, hospital emergency rooms, shelters, and other public systems, receiving fragmented and uncoordinated care at great cost to taxpayers, with poor outcomes. (3) Expand preventative services like objective, data-driven, validated risk assessment tools proven to inform the safe release of low-risk defendants from jails in order to reduce the jail population held pretrial. These innovative strategies—which have measurably reduced jail populations in several communities—help stabilize individuals and families, better serve communities, and often save money in the process. The Data for Good Exchange is part of a long Bloomberg tradition of advocacy for using data science and human capital to solve problems at the core of society. The data revolution has enabled businesses to provide better service, at a lower cost, and to more customers, at a scale of change not seen since the industrial revolution. While the corporate sector has effectively engaged the academic community in their problems, public and non-profit sectors have seen comparatively less application of data science methods. Since 2014, Bloomberg has been hosting this yearly conference on applications of data science to problems related to the social good. This forum has enabled participants from academia, industry, government and NGOs to share insights and progress on applying modern machine learning and data science methods to problems in public and non-profit sectors. The mission of MIT Connection Science is to revolutionize technology-mediated human networks through analysis, prediction, data-driven design, and evaluation. MIT Connection Science is a cross-disciplinary effort, drawing on the strengths of faculty, departments and researchers across the Institute, to decode, analyze, predict and interpret trends in this new environment. Our aim is to help executives, entrepreneurs and policymakers open up new possibilities by providing deeper insights into improving lives in our ever-changing, hyper-connected world. DataKind Labs works with networks of nonprofit, foundation, corporate and government partners on year-long projects to develop cutting-edge solutions for society’s most pressing challenges. Solutions leverage novel datasets and data science techniques and are intended to be replicable by others after the project completes. 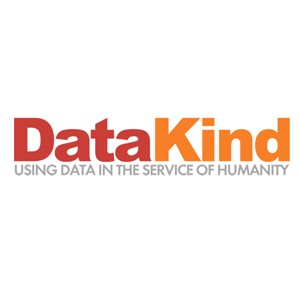 Because DataKind Labs projects are designed to tackle more complex social issues, they are led by DataKind’s on-staff data scientists with pro bono data science experts brought on as support. DataKind Labs convenes expert partners like nonprofits, government agencies and foundations to explore how data science can help address a given issue. DataKind then scopes and executes the project, engaging DataKind volunteers as needed for additional support. Applying data science to social challenges takes more than finding the right data or the right technical approach, it takes bringing together the right people to co-create solutions. These long-term initiatives are selected in partnership with major stakeholders and vetted for their potential to create scalable solutions to benefit the entire social sector. Each project lasts between six and twelve months and involves months of preparation, project scoping, and detailed execution.